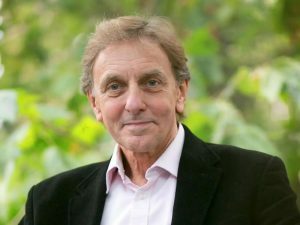 Even among the many eminent people to emerge from a Harkness Fellowship, it will be difficult to find a person who has collected more honours, awards and prizes than Colin Blakemore (1965-68), the neuroscientist specialising in vision and the development of the brain. There was an early signal of success to come at the end of his Harkness Fellowship at Berkeley, where he completed his Ph D in 1968 in two years and five months when the average time for such awards was over five years. His grade average was 3.99 out of 4. Some 44 years on, having reached 67 last year, the Oxford retirement age, he had collected 10 honorary degrees and 47 other awards and prizes from some of the world’s leading scientific societies and medical academies. They included: the Royal College of Physicians Baly gold medal in 2001; the Society for Neuroscience’s highest award (2012); China’s highest honour for foreigners (2012); along with American, French, Swiss, Czech and Indian honours. Not bad for a man who was brought up in a humble two up and two down rented house in a poor area of Coventry. The headmaster of the local primary was the first to identify his talent, urging his parents to transfer him to the junior school of the local grammar at the age of nine because no one had passed the 11 plus from the primary. There was one prize, however, which he did not get: the knighthood which all previous and subsequent heads of the Medical Research Council have received. The scandal was exposed by the Sunday Times, which discovered he had been nominated for the 2004 New Year’s Honours List, only to be eliminated by nervous Whitehall civil servants worried that his research was ‘controversial’. Colin’s response was robust: he threatened to resign declaring his position as chief executive had become untenable: ‘How can I go to our scientists and ask them to risk talking about animal research, when there now appears to be evidence that in secret the government disapproves.’ It prompted open declarations of support for such research from the Government’s Chief Scientific Adviser David King, the Science Minister Lord Sainsbury, Prime Minister Tony Blair along with leading UK science institutions. He didn’t get his knighthood, but more importantly he established widespread support for such work when it had been under intense pressure from animal rights activists. No-one had been subjected to more pressure than Colin Blakemore. His family had endured a decade of assaults. Not just regular non-violent activists protesting outside their Oxford home with speakers, but much more seriously violent extremists who had sent letters laced with razor blades, made threatening phone calls, smashed windows and attempted to pull down the front door, damaged the family car, and sent two bombs through the post (one of which arrived when only the three children and au pair were in the house). The home had to be fitted with panic buttons, triple locks and a safe room. The children had to accept police escorts to their schools, which suffered two bomb threats. He had called for bans on animal testing for cosmetics and helped set up an organisation which brought scientists and anti vivisectionists together to converse. He was a committed humanist and rationalist. But none of this deterred the extremists. His experiments, which required the eyelids of new born kitten to be sewn down, were too good a target. But it was the Blakemore experiments that led to a breakthrough in the diagnosis of amblyopia – the most common form of child blindness. Ironically, by the time he went to the Medical Research Council in 2003, new laws and key extremists in prison meant the worst was over for the family. Colin was facing a different poisoned chalice. The MRC had just suffered a damning indictment from the Commons select committee on science and technology. It was condemned for poor financial management, misguided research strategies and inadequate communications. The scientists who had provided the evidence were given anonymity for fear of retribution. The Blakemore solution was a mixture of wider consultation, new mechanisms for handling funds, new forms of support for young researchers and an overhaul of communications. Why did he take the post? “Both the challenge and a loyalty to the council. They had helped support my research.” By the time he completed his four-year term, the MRC’s budget was one third higher – over £700 million – its relations with the Department of Health and the burgeoning Wellcome Foundation more amicable, and its communications much more transparent. A natural communicator he was perfectly equipped to achieve the latter. At the age of 32, he was the youngest person selected to deliver the BBC Reith lectures in 1976. The theme: Mechanisms of the Mind. The Royal Institution Christmas Lectures in 1982-3 followed. Then there was a run of television and radio programmes: a 13-part series, the Mind machine on BBC television; a radio series about artificial intelligence, Machines with Minds; and a channel 4 television programme, God and the Scientists. He has had regular articles in the serious press: Guardian, Observer , Times and Telegraph and a succession of popular science books, some based on his broadcasts others on Gender and Society, Mindwaves, Images and Understanding, and the Oxford Companion to the Body. He was awarded the Royal Society’s Faraday prize and medal in 1989 for his public communication of medicine and science. He still believes in keeping fit, but after running 18 marathons has stopped such extreme exercise.